Breakfast has several choices but always a garden view! Invercassley Cottage is the perfect Highland hideaway, just 8 miles from Lairg, in the rural village of Rosehall. 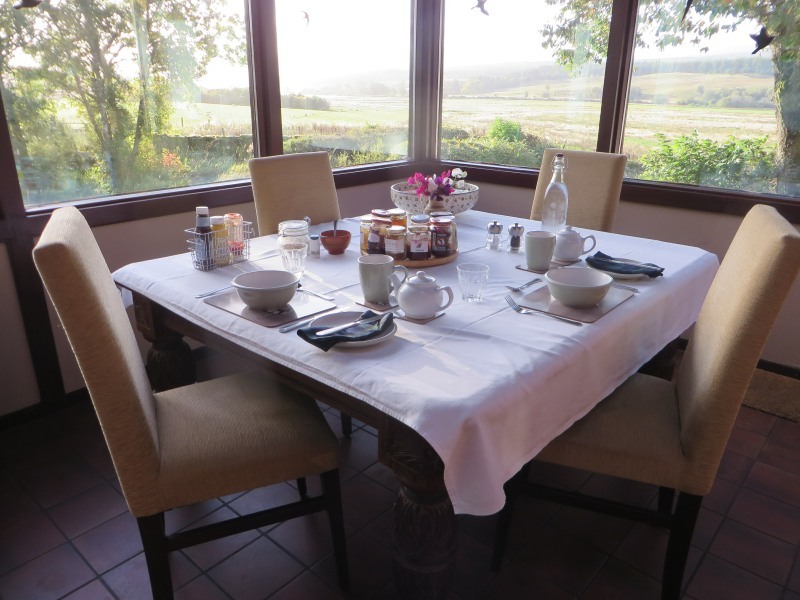 Our B & B accommodation provides a home from home where you will be welcomed as a friend. 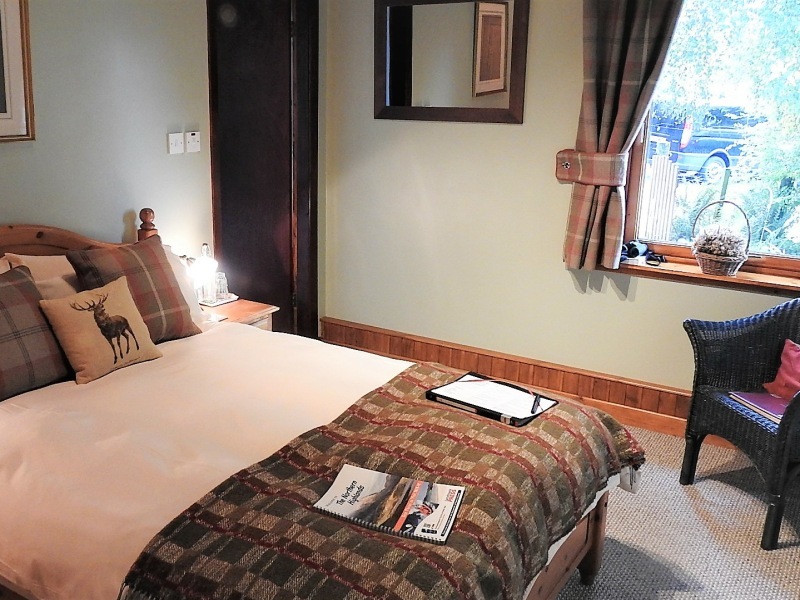 All rooms offer glorious views across the river and its floodplain to the hills beyond. We pride ourselves on our wide breakfast choice including Tracey’s award winning pancakes, using homemade and locally sourced produce, fruit from our garden and eggs from our chickens. 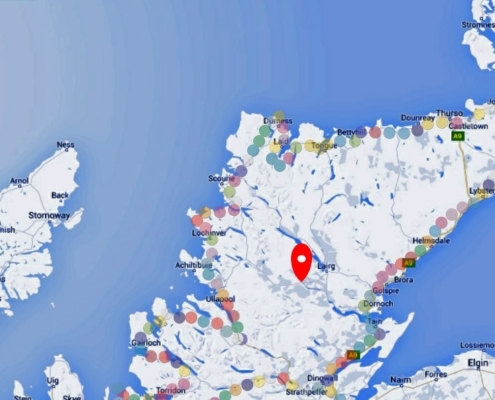 If you are touring, we are centrally located within the NC500 route, making all three coastlines accessible by daily car tours. 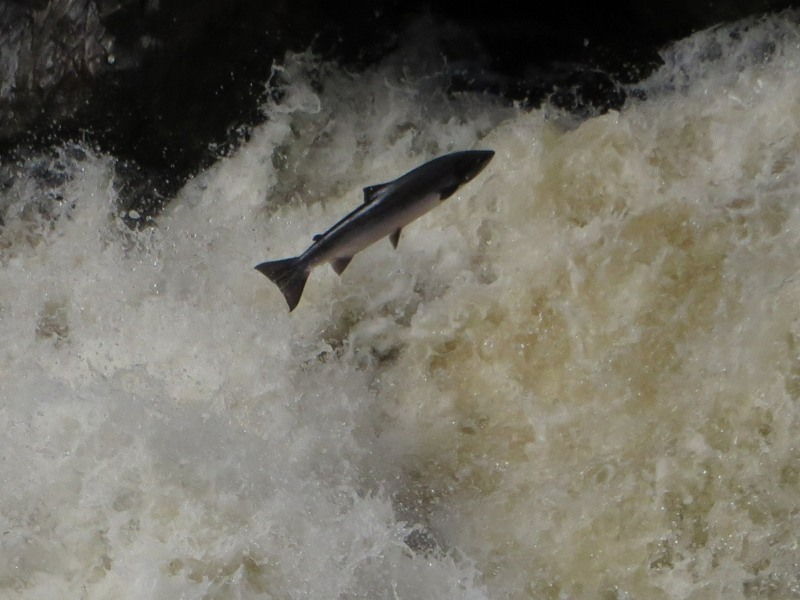 Come and unwind and watch the birds and wildlife in our garden with the binoculars we provide, enjoy one of the many local walks or pay a visit to the Cassley Falls and watch the salmon leap. 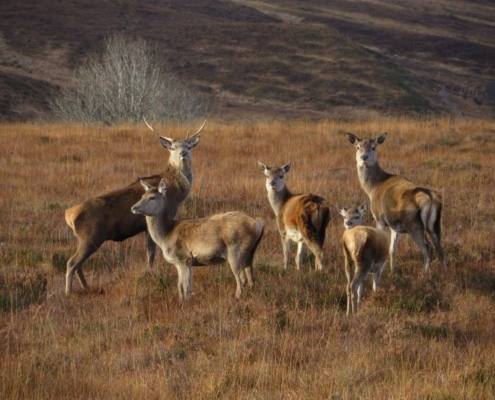 Visit Glen Cassley, where an abundance of wildlife can be found or take one of our guided wildlife tours where we share our knowledge and passion for the local area. Then at the end of the day enjoy an evening meal at our local hotel just a 10 minute walk away, relax in our guest lounge to enjoy a book or DVD, or plan the rest of your trip. 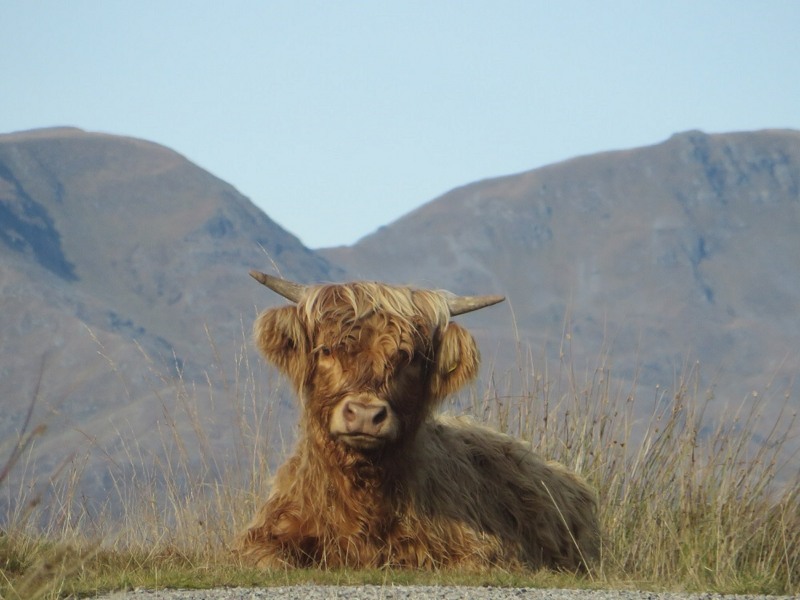 If you want to truly get away from it all Sutherland is one of the least densely populated areas of Northern Europe, and we would love to welcome you to our Highland home to share this special place. 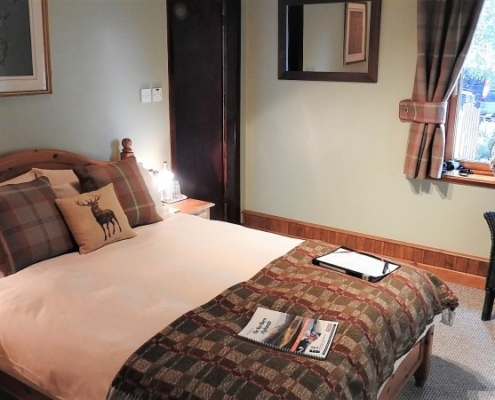 Invercassley B&B has two rooms available to book, a spare double sofa bed which can be added for larger groups and the garden bothy option – the main rooms have en-suite facilities and can be booked online – for other options please get in touch. 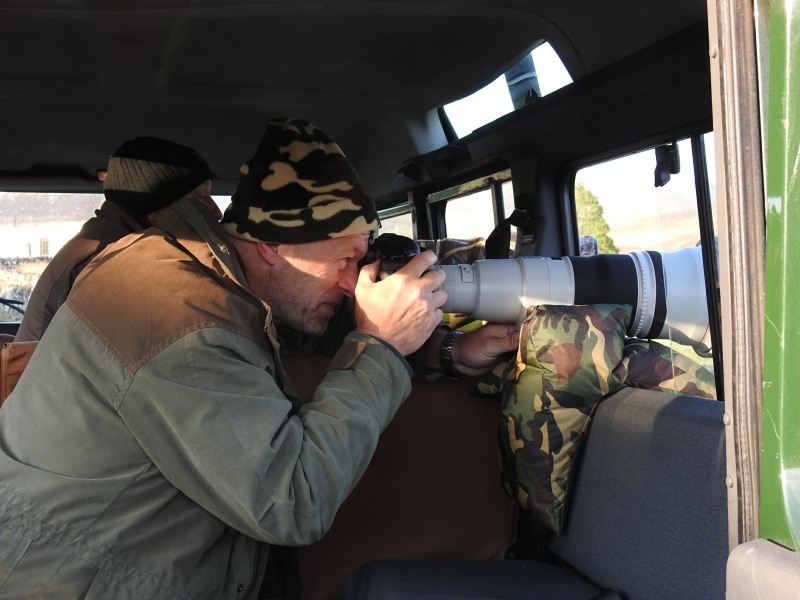 We provide morning and evening safaris from £25 each (£40 for 2) in a long-wheel base landrover where you may see Golden Eagle, Osprey, Black Grouse, Merlin, Buzzard, Hen Harrier, Dipper, Curlew, Stonechat, Red and Sika Deer, Salmon, Otter and more. Find out about Ash, his passions including birds (especially raptors), wildlife and art, Tracey’s love of the countryside and walks and their family of pets with chickens and Ducks and a large selection of visiting wildlife and birds. Set yourself up for the day. 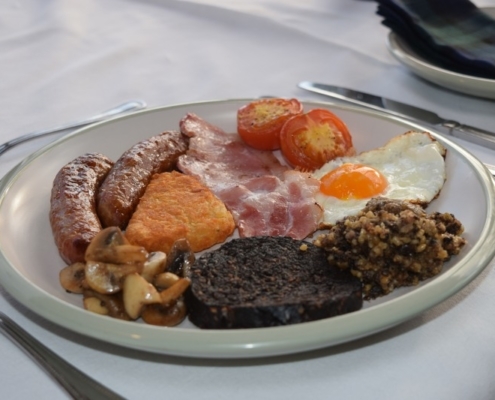 You have a wide selection to choose from including the ‘Full Scottish’ to the ‘Cassley Breakfast Cranachan’ and Tracey’s prizewinning pancakes. Why not stay an extra day ot two? 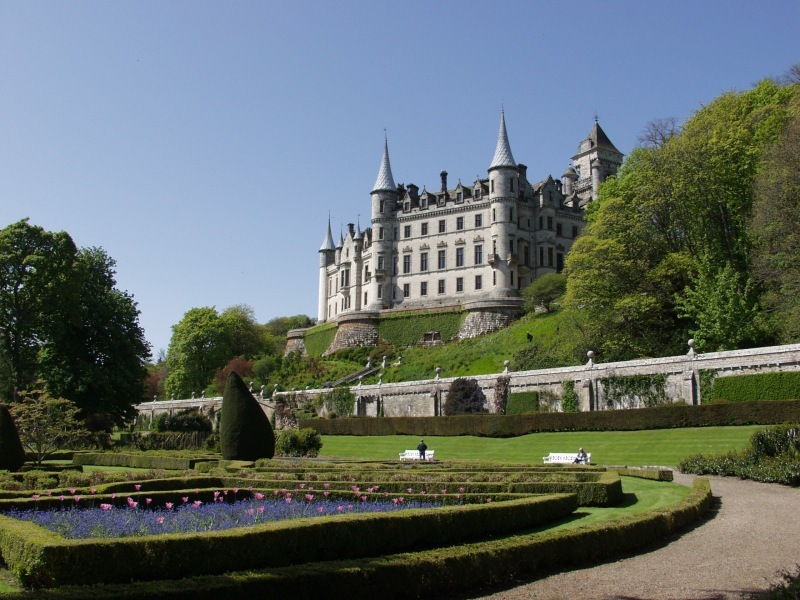 there is so much to do and see from Invercassley as a base. 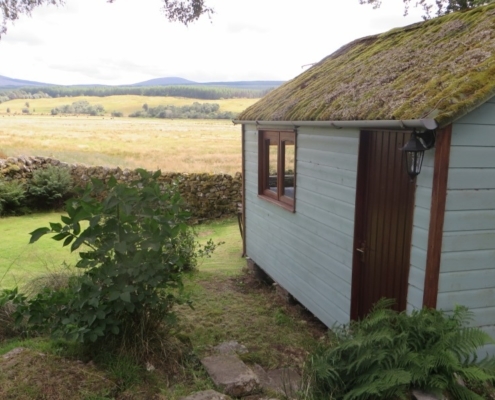 Set in the grounds of the B&B this bothy style option has stunning views over the Kyle of Sutherland and is available to travelers from £20 pppn. Book online using the booking button above: Or otherwise you can check availability for B&B or Wildlife Safari’s or ask us any questions. 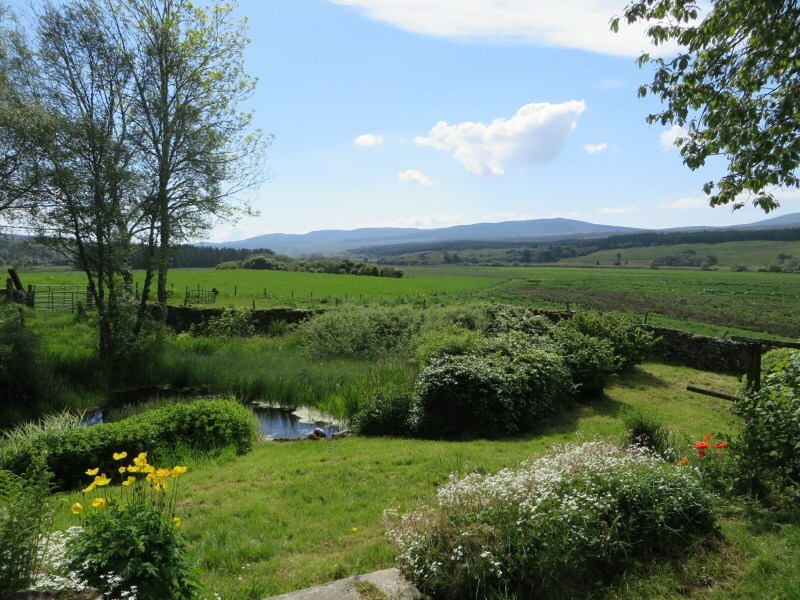 Contact us directly at Invercassley Cottage, Rosehall, Lairg, IV27 4BD, email Info@invercassleycottage.co.uk or call 01549 475080 or you can use the form below. WOW Just perfect in every way …. so much knowledge about the local wildlife ….breakfast was superb! …. 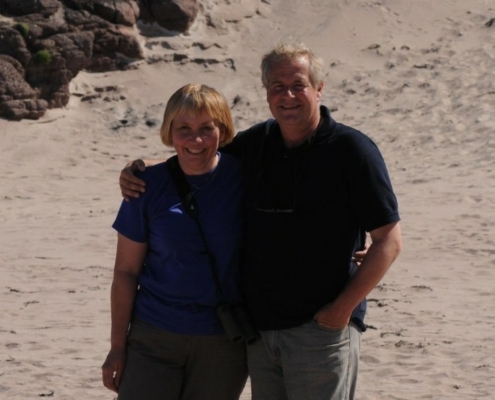 brilliant 3 nights, superb breakfast + we really enjoyed our evening safari Ashley. Hopefully will visit again before long. Very comfortable, beautiful setting, great breakfast! Thank you for the lovely welcome …. & local guide for Salmon water! …. first class breakfast and Ash, our guide, was a master at the birds. Highly recommend, will return. Great location, made to feel very welcome, great local knowledge on places to visit. Enjoyed breakfasts will be sad to leave. Your tips of where to see things, your hospitality and laughs …. home from home ….couldn’t be more perfect!